Americans are deeply divided over the Second Amendment. Some passionately assert that the Amendment protects an individual's right to own guns. Others, that it does no more than protect the right of states to maintain militias. Now, in the first and only comprehensive history of this bitter controversy, Saul Cornell proves conclusively that both sides are wrong. 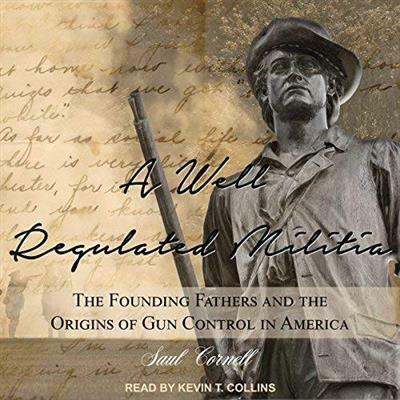 Cornell, a leading constitutional historian, shows that the Founders understood the right to bear arms as neither an individual nor a collective right, but as a civic right - an obligation citizens owed to the state to arm themselves so that they could participate in a well regulated militia. He shows how the modern "collective right" view of the Second Amendment, the one federal courts have accepted for over a hundred years, owes more to the Anti-Federalists than the Founders. Likewise, the modern "individual right" view emerged only in the 19th century. The modern debate, Cornell reveals, has its roots in the 19th century, during America's first and now largely forgotten gun violence crisis, when the earliest gun control laws were passed and the first cases on the right to bear arms came before the courts. Equally important, he describes how the gun control battle took on a new urgency during Reconstruction, when Republicans and Democrats clashed over the meaning of the right to bear arms and its connection to the Fourteenth Amendment. When the Democrats defeated the Republicans, it elevated the "collective rights" theory to preeminence and set the terms for constitutional debate over this issue for the next century. A Well-Regulated Militia not only restores the lost meaning of the original Second Amendment, but it provides a clear historical road map that charts how we have arrived at our current impasse over guns. For anyone interested in understanding the great American gun debate, this is a must-listen.